The Castle of de Haar (http://www.kasteeldehaar.nl) is the largest and most luxureous of Netherland's many castles. 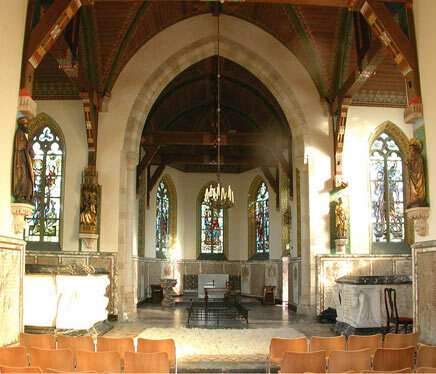 Its separate long and narrow chapel has wooden ceilings and hard stone flooring. Thesound is very open and clean and the reverb tail is pretty long for the size of the church.